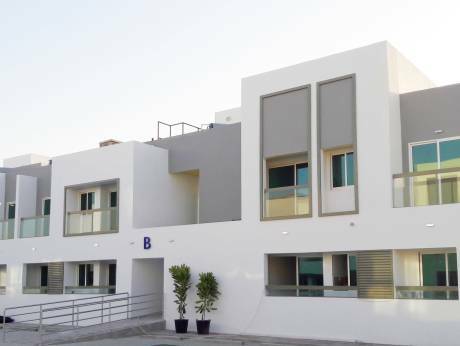 Sun and Sand Developers Group recently handed over Sunbeam, a low-rise residential compound in Dubai Industrial Park, with prices that are currently among the lowest in Dubai for one- and two-bedroom apartments. The one-bedders, at around 540 sq ft, had been launched with an off-plan price of Dh395,000, while two-bedders were priced at Dh525,000. They are now priced at Dh425,000 and Dh565, 000 respectively. With the lessons learned from his affordable housing “prototype”, Sailesh Israni, managing director, outlines three areas that help developers bring down prices, while keeping the houses fully functional: innovation, location and a versatile payment plan. For its projects, the company adopts the “classical” payment plan wherein buyers pay 25 per cent during construction, and the rest through bank mortgage when the project is complete, noting that bank financing comes “cheaper than developer finance”. While his company does not offer post-payment plans, which many other developers now flaunt, Israni says the company shows flexibility in accommodating each buyer’s needs and financial limitations. He says this means being open to sit down with customers to find solutions to financial hurdles. For any industrial area, Israni says real estate serves as an umbrella industry that caters to the housing needs of the workforce. “It’s important to build in an area where there is a set of industries, where there is housing demand and people prefer to stay close to work,” he says in explaining Sunbeam’s location in an industrial area.